Audri is using Smore newsletters to spread the word online. Learn more about the Aral Sea by going to my first article!!! To learn more go to my second article!!! 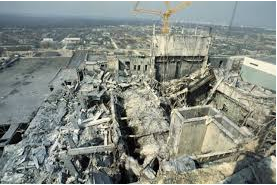 Learn more about Chernobyl by going to my last article!!! The Aral Sea is a salt-water lake. For irritation, the rivers that went into the Aral Sea to keep it from were redirected. 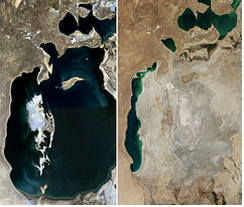 In 1960, the Aral Sea was the fourth largest lake in the entire world. It is only a fraction of what it was before, now! Pesticides went into the Aral Sea and caused to death of many habitats, plants and animals, while threatening the human health. Now that the Aral Sea has already shrunk dramatically there was really no way to bring it back to how big it was because it is located in semiarid and,or arid areas. However the people were able to stop it from shrinking the Aral Sea more by building a dam. 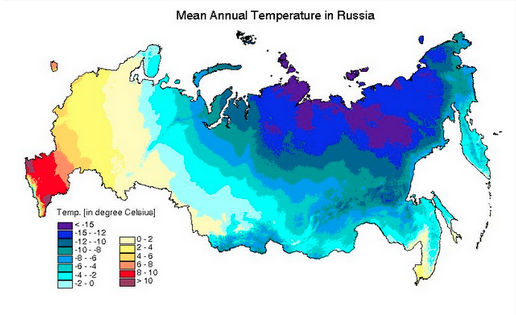 Almost half of Russia has permafrost.During summer in Russia it can reach up to 100 degrees!In Siberia, where lots of tundra areas are permafrost prevents trees and other types of plants to grow because their roots can’t dig deep enough in the ground. The taiga which is south of the tundra can grow lots of trees and make forested areas, because of how many trees grow in the taiga these areas have become very useful in providing timber resources that can be very valuable! Extreme moisture and temperatures can make it very hard for some places to be used for agriculture. The cesium half-life is 30 years. Radioactive iodine got into milk of cows that graze on contaminated grass, after the explosion. After the accident happened the wind blew in the direction of Belarus, therefore Belarus was hit the hardest. Around 23 percent of the country's forests were contaminated. Since radiation does not go away fast it is guessed that the radiation will stay in the soil for many, many years.